Bride To Be Garter. Pretty pink and black lace garter. Perfect for hen night parties. 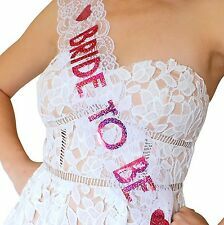 Also great for the Bride To Be,bridal shower and halloween fancy dress parties. Has a fushcia heart shape badge with "Bride To Be" writting. Bride To Be Sash. Party & Gifts. Look and feel amazing on the big occasion! ALL accessories sent to you in addition. You need to select the options you want individually when you are placing. We're here to help whenever you need us. It features funky pink fluffy trim, with "HEN PARTY" sign. This headband is a really great gift for any bride to be. (headband only, no veil included). HEN PARTY HEAD BAND - ACCESSORIES. An instant makeover to make your bride to be, really look the part! A Fabulous Burlap Sash edged with Cream Lace. This looks fabulous with the Boho Pearl Headband and Ivory veil also available. 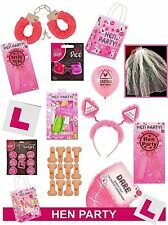 BRIGHT PINK HEN PARTY SASH SASHES GIRLS DO NIGHT OUT ACCESSORIES WEDDING BRIDE! Pink Mother of the Bride sash! This pink sash hasMother of the Bride printed on it. in black text and is stitched at either end for a great fit. 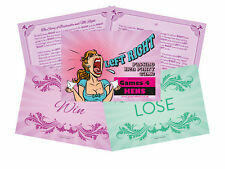 Having a classy looking hen night?. 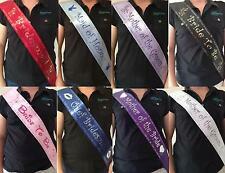 Use these affordable hen party sashes for all your hens. 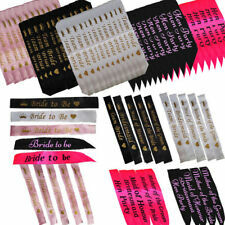 Don't forget the mother of the bride, make her happy by getting this sash just for her. Black Silky Sash. These value range sashes feature a hot pink colour with spotty black writing, these fun sashes are made especially for your maid of honour and are an affordable hen night accessory. Fancy Dress. Cosy, fleece-lined hooded sweat in a slouchy, unisex cut. Black Classy Sash. Silver Effect Writing. Fancy Dress. Cosy, fleece-lined hooded sweat in a slouchy, unisex cut. Self-coloured draw cords, raglan sleeves and a handy pocket make this hoodie perfect for laid-back hens! 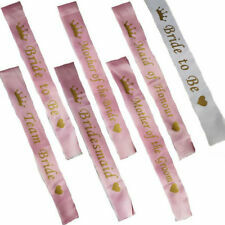 The sash is black, with elegant pink writing that reads 'Bridesmaid'. 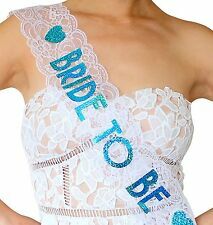 Coordinate with your guests and get the matchingBride To Be Sash, theMother of the Bride Sash and theHen Party Sash too! It's only your big night once, so you'll want you and your hens to stand out when you hit the town.